Edie was born in Berkhampstead Road. She moved into the house next door when she married and still lives there to this day. She went to work at Shillakers handbag factory when she was 14 years old. It was just around the corner from her house, in Alma Road. She spent most of her working life there apart from during the war years. It was a very happy family atmosphere and she enjoyed her time there. She particularly loved the smell of the leather. She had to learn all aspects of the trade. Patterns were cut in zinc with a knife. A skiving machine was used to make the leather more pliable. Bags were assembled at different work stations – pasting sections together before they were stitched, 6-8 different patterns on the go at one time. She eventually learned to machine, on sample pieces, taught by the forelady (supervisor). She was very nervous of machining at first, in case she made mistakes. She learned to make pockets for linings. Stitching corners was very difficult, although moistening the leather by licking her fingers made it more pliable. Patent leather would have to be warmed first in a small oven on a low heat to make it supple. She wasn’t fond of working with snakeskin as she didn’t like the feel of it. Also it had to be cut carefully, according to the grain. People from all around the town worked at the factory, travelling by bicycle or on foot. They brought their own lunch as there was no canteen at first. Later there was a canteen where drinks could be obtained. Hours were from 7am until 12.30, then a 1 hour break for lunch. The afternoon lasted from 1.30 until 5.30. Saturday mornings were worked also, from 7.30 until 12 noon. At 14 Edie earned 7s 6d (37½p) and at 21 this had risen to 21shillings (£1. 05p). During WWII the factory was temporarily taken over by TCC (Telegraph Condenser Co.) which made condensers for wirelesses (radios) for the Admiralty and the RAF. Edie found this work very interesting and challenging as it included making calculations, which she enjoyed. Older workers went to a small factory in How’s Yard, where some bags continued to be made or repaired. Some gas mask cases and shopping bags were also produced there. Shillakers machinery was used or stored as necessary. After the war the machinery came out of store and Shillakers resumed trading. Edie became manager of the top floor of the factory, where the machinists worked. Some bags were sold in Cox’s in Chesham, but many were exported. Synthetic materials were introduced, making bags cheaper for the average person. Leather bags sold for 21s (£1.05), a week’s wage, whereas the synthetic bags only cost 5s (25p) and became known as ‘5-bob bags’. Traditional colours were mostly used. Edie remembers that leather scraps were always saved and made up into patchwork shopping bags. Shillakers was founded by brothers William and Edgar in 1902. They set up business as belt makers in the City of London and in 1908 formed W Shillaker & Co. Ltd., making ladies’ belts and handbags. 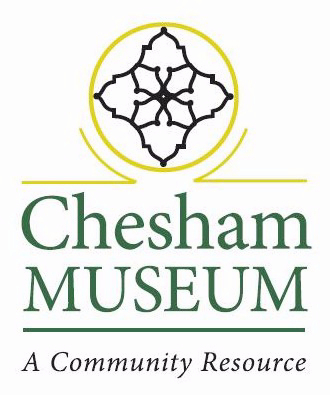 By 1916 they had expanded considerably and decided to move out to Chesham. This was because of the Railway, and the existence of both a tannery and a leathergoods industry in the form of boot-making. Alma Road was the chosen site, opposite a boot factory and initially there were ten employees. The brothers were joined by Maurice Heistercamp who had left war-torn Ypres in Belgium with his wife and baby son. Maurice became Manager, the business prospered and the factory was extended in 1919. In 1921 Maurice returned to Belgium to set up his own business and his place was taken by his younger brother Camille. A further extension was built in 1925, by which time the company was employing 50 people, mostly women. It was a very desirable place to work and always had a waiting list for employment. During the early 1930s the trade name ‘Shillacraft’ was adopted. 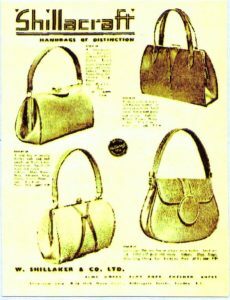 Bags were sold to leading stores including Harrods, Selfridges and Dickens and Jones. Mass-production was studied, sales and output increased and by 1939, 125 employees were producing 4,000 to 5,000 handbags per week. The company exhibited regularly at the annual British Industries Fair, customers including Queen Mary and other members of the Royal Family. In 1956 Camille bought out the Shillaker family’s interest in the company and went into partnership with Jane Shilton of London. By 1961 production had risen again to 2,000 to 3,000 bags per week, a third being exported. Camille sold the company to Shilton Ltd and retired; his son David, who had worked in the business since 1946, took over as Works Director. The Alma Works was badly damaged by fire in 1962 but business quickly resumed. In 1971 the company was awarded the Queen’s Award to Industry for export achievements. In 1981 Shilton ceased production of handbags in Chesham. David Heistercamp bought Cox the Saddler and finally retired to Devon in 1991. Edie was born in 1915.